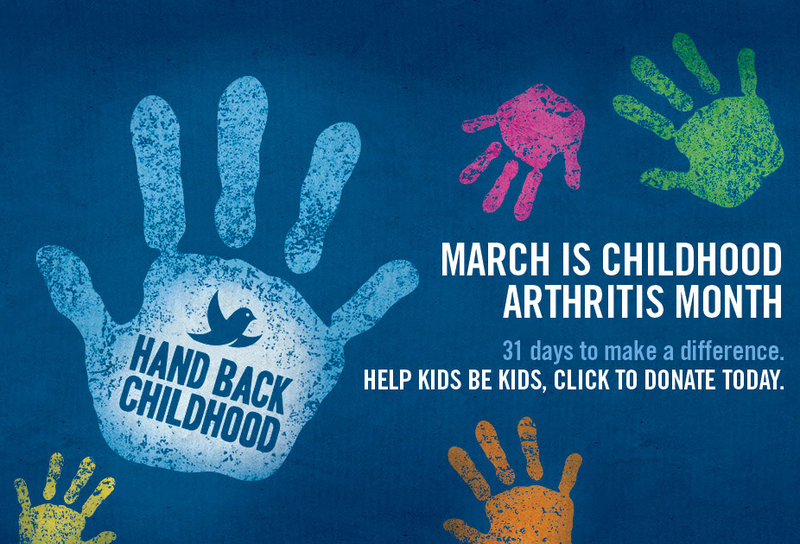 March is Childhood Arthritis Month. Most people think only adults get arthritis but over 60,000 Canadian children and youths face the debilitating chronic pain of childhood arthritis (CA), robbing them of their childhoods. What is Juvenile Idiopathic Arthritis? Sometimes referred to as Juvenile Rheumatoid Arthritis, is an arthritic condition that affects children age 16 and under for unknown (idiopathic) reasons. Children experience pain and inflammation in one or more of their joints which may cause growth impairments. Early diagnosis is difficult, especially in active children. So what Signs & Symptoms do I watch for? Sometimes a child will complain of pain or swelling in their joints, usually a large joint like the pelvis or knee, but often it simply presents as a limp or stiffness which causes a difficulty in performing various movements, particularly in the morning or after a nap. Inactivity such as during sleeping lets the joint swelling worsen which is often why the pain will improve with movement. In some cases JIA will affect the whole body and the child may develop a fever, swollen lymph nodes, or a rash. Inflammation of their eyes can also occur causing pain and tearing. If your child experiences any of these symptoms consult a health professional. How can Chiropractors help? Chiropractors can help diagnose and treat juvenile arthritis. To confirm JIA your child should visit their medical doctor to have an x-ray of their affected joint(s) and blood tests to search for inflammatory markers. While many children receive pain relievers and other medications to prevent progression of the disease as part of treatment, physical therapy is also highly recommended. Chiropractors can help your child maintain healthy joint range-of-motion and muscle tone using a variety of manual therapies and exercises.